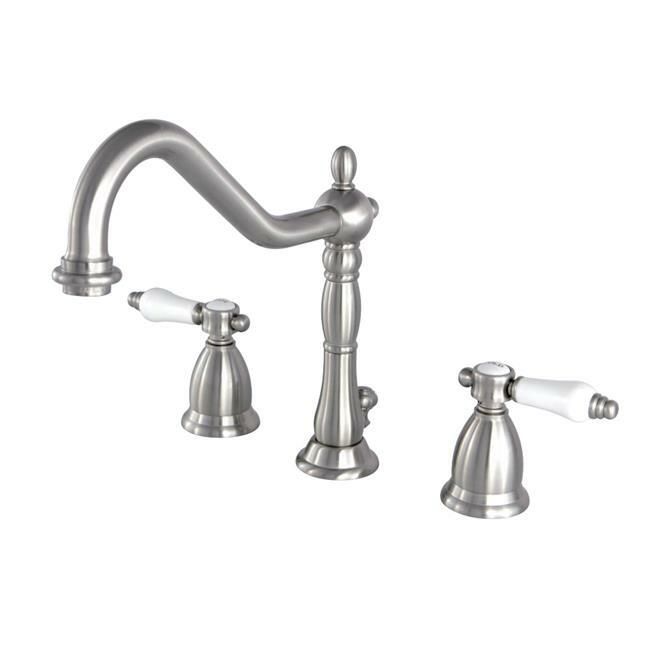 With a tall traditional spout and smooth escutcheons, the Bel Air widespread lavatory faucet brings elegance and durability to any home bathroom. With solid brass construction, this faucet utilizes a ceramic disc cartridge system and is available in 4 easy to maintain and tarnish-resistant finishes. The bold cross handles and smooth lines give the final touches to this classic bathroom ensemble.